The Yom Kippur War began on October 6, 1973, when a coalition of Arab forces launched a surprise strike on Israel on Yom Kippur – the holiest day of the Jewish faith. On August 7, 1970 the ceasefire ending the War of Attrition took effect. Tension between Israel and Egypt remained high, and shortly after the armistice was inducted, Egypt began moving new surface-to-air missile formations to the Suez Canal line. The IDF formed its defensive line in the Canal by setting up a series of waterfront and rear strongholds, along with securing multiple access roads to the area. Several days after the War of Attrition ended, Egyptian President Gamal Abdel Nasser died and Anwar Sadat was named his successor. Sadat began reforming the military and simultaneously trying to acquire advanced weapon systems from the Soviet Union. His initial failure to do so led the Israeli defense and intelligence establishments to believe that the Arab nations were left incapacitated by the war, and that they would not be able to strike Israel again in the near future. Egypt's army, it was believed, was too weak to fight the IDF; and Syria was unlikely to strike without Egypt in its corner. Intelligence assessment aside, the military and the public were basking in a euphoric feeling of invincibility; having won the Six Day and the Attrition wars, the IDF was seen as more than capable to crush any attack, be it from Cairo or Damascus. 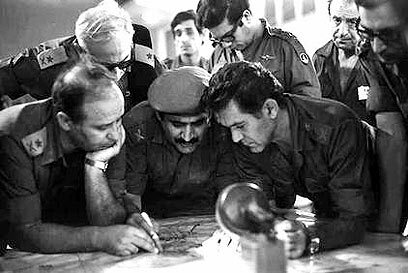 Israeli intelligence was left oblivious to the realignment preformed by the Egyptian military, and more importantly, to Sadat's decision to attack Israel again, in order to "melt" the political frost which had enveloped the Middle East since the Six Days War. Syrian President Hafez Assad was also eager to strike Israel, and in June of 1973 the two met and decided to mount an attack within several months. The date chosen was October 6, 1973 – Yom Kippur. Both Sadat and Assad believed that striking the Jewish State on its holiest day would be detrimental to morale. The Egyptians put together a plan meant to feint the Israeli intelligence: In early October, several of the Egyptian military's division's moved their forces near the Suez Canal as part of a would-be military drill – and the IDF believed it to be just that. On October 4 the "drill" came to its end, and the forces seemed to retreat, but in fact, only a few of the units taking part in it were told to turn back. The Syrians made no attempt to mask their troops' realignment along the Israel-Syria border, alerting the IDF to their actions. On September 13, the Israeli and Syria air forces engaged in battle. Syria lost 13 fighter jets, cementing further the Israeli assessment that Damascus was in no shape to fight. Nevertheless, the IDF boosted its forces in the Golan Heights. About two weeks before Israel was struck, and more so on October 4 and 5, the IDF began receiving foreign intelligence reports indicating a buildup of forces near its borders. Military Intelligence, however, dismissed the warnings, but then-Defense Minister Moshe Dayan ordered the IDF on high alert as a precautionary measure. It wasn’t until the morning hours of October 6 that the IDF received word of the impending attack from an "irrefutable source." The Yom Kippur War began on October 6, 1973, at 1:55pm. The strike caught Israel by complete surprise. The military strongholds in the Suez Canal and the Golan Heights were sparsely manned, as were the rear posts. IDF Chief of Staff David Elazar ordered a mobilization of the entire reserve force, but the emergency warehouses, meant among other things to supply reserve forces, were nearly empty; and the regular forces were in near disarray. Syria's fighting forces were made up of three divisions, each with its own armor brigade – a total of 400 tanks and 1,200 machineguns. Those were backed by surface-to-air missile batteries, as well as by hundreds of fighter jets. The IDF fought back using two armor divisions – 177 tanks – and two infantry divisions spread across 17 outposts and 11 artillery batteries. The Syrian offensive began by heavily bombarding IDF outposts and civilian communities in the Golan Heights. A Syrian commando force took over the IDF's stronghold on Mount Hermon shortly after the fighting began, allowing the Syrians to break through the IDF's northern lineup. Israeli armor divisions attempted to block them, but were only partially successful. By October 7, Syrian tanks were overlooking the Sea of Galilee. At this point, the IDF's reserve forces arrived at the Golan Heights, boosting Israeli military presence to three divisions, which were able to fend off the Syrians: Damascus' main armored force in the Heights was annihilated by October 9, and by the next day, it was pushed away from the entire Golan, with the exception of the Mt. Hermon stronghold, which the Syrians were able to hold on to until the last day of fighting. On the Sinai front, the IDF had 268 tanks and a reserve armored brigade manning the stronghold line. Many of the military posts were left unmanned, essentially stripping the line of its original purpose – observing and defending the waterfront. Egypt's fighting forces included five armor divisions, each with its own tank brigade, two mechanized divisions, commando forces, paratroopers and special forces units. Those were backed by 2,000 machineguns and some 50 surface-to-air missile batteries, as well as numerous antitank missiles. The Egyptians positioned their troops atop a rampart which they built on their side of the canal, allowing them to decimate the Israeli armor forces rushing to the front. The Egyptian offensive began with heavy artillery fire on targets all over Sinai. The Egyptian forces were able to cross the canal in several places and lay down bridges. They then funneled additional forces to the Sinai front. IDF forces attempted to hold them off, but the tanks and fighter jets sent in met heavy antitank and anti-aircraft missile fire and suffered mass losses. By the end of the fighting on October 7, the Egyptians were in control of many of the IDF's strongholds along the Suez Canal. Meanwhile, Egyptian commando forces were engaged in battle with IDF forces in southern Sinai, and the Israeli Navy was called to the Suez and Eilat bays to fight off the Egyptian Naval forces. By October 8, the IDF sent three reserve divisions to the southern front and mounted an assault meant to push the Egyptian forces back across the canal. The strike proved unsuccessful, and is believed to have dealt the most devastating morale blow to the IDF, as its finest troops, commanders and battle plans failed to drive the Egyptian forces out. The fighting was also the backdrop for the now infamous "general wars" within the IDF's top echelon. The government eventually decided to send Minister of Trade and Industry and former IDF Chief of Staff Haim Bar-Lev to take command of the Sinai front off then-Southern Command Chief Shmuel Gonen's hands. Bar-Lev's first order was to launch a series of hold-defense battles along the canal, which resulted in the IDF fending off a massive Egyptian attack on October 14. Bar-Lev then ordered the IDF to circumvent the Egyptian forces, cross the canal and surround them from the rear, forming a direct threat on Cairo in the process. By October 17, the IDF was able to stretch a floating bridge over the canal and funnel troops to the western part of the sector. Three IDF divisions crossed the canal by October 19 and began making their way towards Ismailiya and the city of Suez, striking at the "seam" between the Egyptian Second Army in the north and the Egyptian Third Army in the south. By the end of the fighting on October 24, the Egyptian armies east of the canal found themselves separated by an Israeli-held area, stretching west of the canal and reaching 62 miles off Cairo. During the fighting, the Egyptian Military lost 10,000 men and 8,000 of its troops were taken prisoners. It also lost 1,000 tanks and 283 planes. On the Syrian front, Damascus concentrated its forces on the Damascus-Quneitra road, in an attempt to block any possible advancement by the IDF. The Syrian forces were backed by Moroccan, Iraqi and Jordanian troops. On October 11, the IDF launched a two-way offensive, storming Quneitra en route to Damascus, and fighting to regain control of Mt. Hermon. Despite fierce resistance, the IDF was able to reclaim all the territories taken by the Syrians and create an enclave within Syria and make its way to about 24 miles off Damascus, where it held its forces until the war ended. Mt. Hermon was taken back on October 21. During the fighting, the Syrian Military lost 4,000 men, 1,100 tanks and 168 planes as well as several gunships. The Yom Kippur War took the world powers by surprise as well. The Soviet Union aligned itself with the Arab forces, preventing the UN Security Council from intervening in the fighting and sending weapons to Egypt and Syria. The US eventually sided with Israel, and began sending the IDF massive quantities of weapons and ammunition. On October 22, largely due to the efforts of then-US Secretary of State Henry Kissinger, the UN Security Council passed Resolution 338 calling for a ceasefire, and urging "all parties to the present fighting to terminate all military activity immediately." The armistice came into effect 12 hours later, at 6:52pm (GMT), but tensions remained high and sporadic fighting still erupted, coming to a halt two days later, as the UN Security Council passed Resolution 339, calling on all parties to adhere to the ceasefire guidelines established in Resolution 338. Fighting on all fronts eventually came to an end on October 26. The final disengagement agreement between Israel and Syria was singed on May 31, 1974, with the establishment of a UN buffer zone. 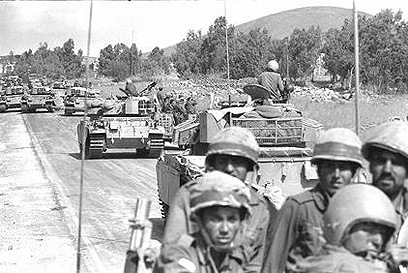 The Yom Kippur War claimed the lives of 2,569 IDF soldiers and left 7,500 wounded. Another 301 soldiers were taken captive and later returned to Israel. 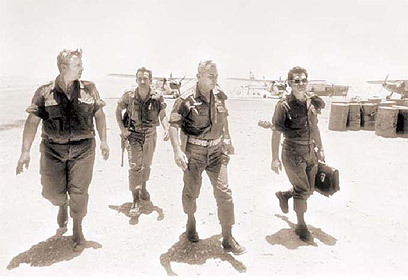 Though emerging victorious form the war, Israel was left battered and bruised: The great "invincible IDF" myth created on the heels of the Six Days War was shattered and the public lost all faith in the political and military leadership. In the weeks following the war, the government formed the Agranat Commission – an official National Commission of Inquiry tasked with probing the circumstances leading up to the war, as well as its course. The Agranat Commission chose not to hold any of Israel's political leaders personally responsible for the war's failures, but nevertheless, then-Prime Minister Golda Meir and Defense Minister Moshe Dayan resigned. Chief of Staff David Elazar was found at fault for misreading the geo-military situation and for failing to maintain IDF wartime readiness. He was relieved of his command. Intelligence Chief General Eli Zeira, his deputy, Brigadier-General Aryeh Shalev, the head of Military Intelligence's Egypt Desk and the Southern Command's chief intelligence officer were all found responsible for the intelligence failure which led to Israel being caught off guard. Both Zeira and Shalev were dismissed, while the junior intelligence officers were reassigned, per the commission's recommendations, away from intelligence duties. Head of the Southern Command, Shmuel Gonen, was relieved of his command after the commission found "he had failed to fulfill his duties adequately, and bears much of the responsibility for the dangerous situation in which the troops found themselves."